Condom usage started back in the 17th century or maybe earlier. 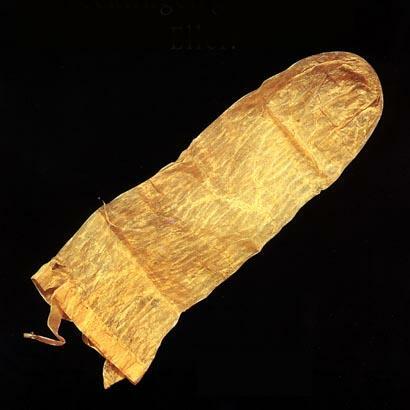 The oldest surviving condom is now on display at the Tirolean County Museum in Austria. The antique condom was found in Lund, Sweden and is made from pig instestine and is reusable. It is dated back to 1640 and has a complete user manual in Latin. User will need to immerse the condm in warm milk prior to use to avoid disease as written in it’s manual. But it never mention about size, or perhaps there is only one size in the olden days. This entry was posted on Sunday, November 19th, 2006 at 10:46 am	and is filed under Interesting Stuff. You can leave a response, or trackback from your own site.